The United Progressives Party (UPP) has adopted President Muhammadu Buhari as its candidate for next year’s general election. UPP National Chairman, Chekwas Okorie, disclosed this to State House correspondents, after meeting with the President on Friday in Abuja. Okorie said the adoption of President Buhari would be further confirmed when the UPP leaders meet on Tuesday next week. He also denied reports that the people of the South East region have thrown their weight behind the presidential candidate of the Peoples Democratic Party (PDP), Atiku Abubakar. 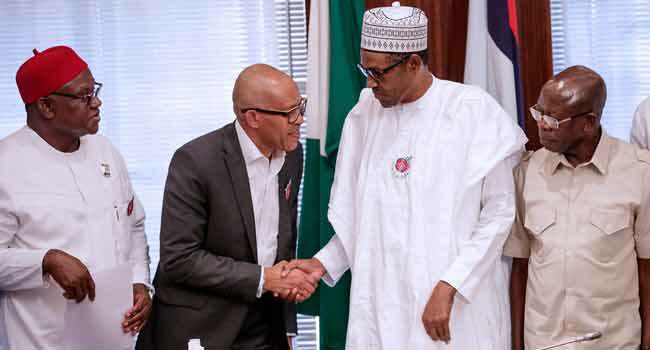 The National Chairman of the All Progressives Congress (APC), Adams Oshiomhole, was also present at the meeting between the President and the UPP delegation.